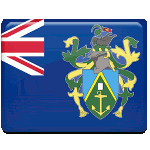 January 23 is Bounty Day in Pitcairn Island. This day commemorates the anniversary of mutiny on HMS Bounty in 1790. HM Armed Vessel Bounty was sent to the Pacific Ocean to acquire some breadfruits and transport them to the West Indies. The mission began in December 1787, but never completed. On April 28, 1789, about 1,300 miles west of Tahiti, a mutiny broke out. The ship was taken by the mutineers bloodlessly. The ship sailed to the island of Tubai, where the mutineers tried to settle, but after three months of bloody conflicts with the natives they had to return to Tahiti. Some of the ship crew were set ashore in Tahiti, and the rest of the crew sailed hoping to elude the Royal Navy. The mutineers passed Fiji and Cook Islands and continued their quest for a safe haven. They rediscovered Pitcairn Island on January 15, 1970, that had been displaced on the Royal Navy's Charts. The decision was made to settle on Pitcairn Island. Livestock and provision were removed from the ship. In order to prevent detection and anyone's possible escape, HMS Bounty was burned on January 23. Nowadays Pitcairn Island is one of the least populous national jurisdiction in the world. Most of the islanders are the descendants of the Bounty mutineers and Haitians, who sailed the ship there.